Strikeforce: Fedor vs. Rogers has an undercard filled with local Chicagoland fighters. WEC Veteran Jeff Curran has been added to the preliminary fights, as well as TUF 6 contestant John Kolosci. Bolded names are fighters with Chicago ties. I think the undercard is going to thrill the crowd at Sears Centre. Davis vs. Miller should be a spectacular brawl. Curran never has a boring fight due to his skillset. Kolosci loves to bang. Uflacker is a BJJ specialist with one of the most respected schools in the area. 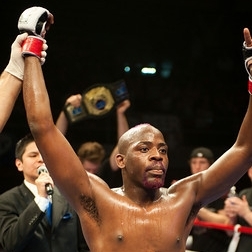 And Louis Taylor is a young, hungry fighter looking to make it to the next level of pro MMA. We’ll have all the results of the undercard on our Twitter account, and we’ll have post-fight video and analysis right here on Chicago’s MMA.